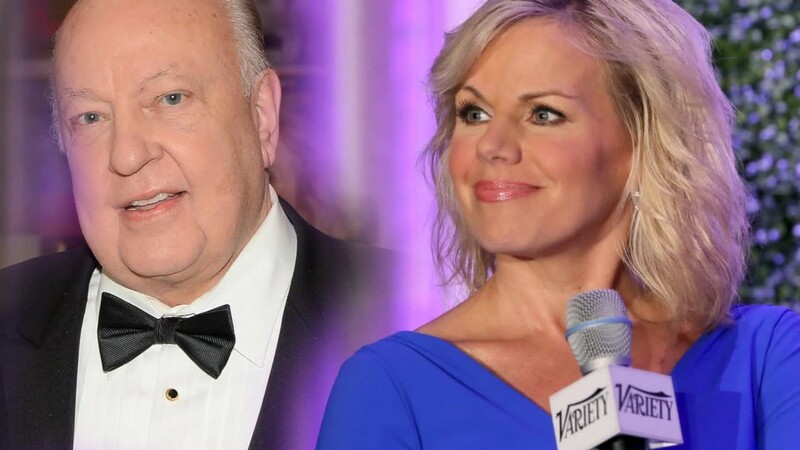 Why are some women who want to support Gretchen Carlson in her sexual harassment lawsuit against Fox News CEO Roger Ailes not speaking up publicly? The answer involves strict non-disparagement clauses that some former Fox employees must sign. In confidential interviews with CNNMoney, several women who formerly held on-air jobs at Fox said they believed Carlson's allegations and have stories of their own. But the women were reluctant to talk, citing the restrictive contract language. Fox's parent company, 21st Century Fox, is conducting an internal review of the harassment allegations. These women said that the law firm conducting the internal review, Paul, Weiss, Rifkind, Wharton & Garrison, had not reached out to them yet. When contacted by CNNMoney on Saturday and Sunday, and asked how the review could be considered credible if the lawyers conducting it do not speak with the women, Fox declined to comment. The law firm did not respond to requests for comment. On Monday, however, New York magazine's Gabriel Sherman reported that "the lawyers are seeking to interview former female employees of Fox News in addition to current staff." Sherman also reported that the owners of 21st Century Fox, the Murdochs, "have decided to remove" Ailes, but have not determined exactly when or how. CNN has not independently verified the report. In a statement responding to Sherman's report, 21st Century Fox pointedly did not rule out corporate action against Ailes, but said such action would be premature. "This matter is not yet resolved and the review is not concluded," the statement said. In the days since the lawsuit was filed, more than a dozen Fox hosts have stood up for Ailes in interviews and statements. That may have suggested to observers that there are far more people ready to support Ailes than Carlson. But the non-disparagement clauses are a complicating factor. In one instance, a former Fox commentator posted a comment on Facebook that supported Carlson -- and called Ailes a "dirty old fart" -- but said she took it down due to the non-disparagement clause. In another case, a former Fox reporter consulted a lawyer before speaking with CNNMoney on condition of anonymity. "I think there are many people who've had the same experience Gretchen is describing," the former reporter said. The reporter described repeated instances of harassment by Ailes and said "Roger often took verbal liberties with female employees," but would not go into any more detail, citing the non-disparagement clause. Ailes has said Carlson's allegations are false. The two sides are now battling through court filings. Non-disparagement clauses affect former employees who sign a "separation agreement" on the way out. The legal language is meant to protect Fox News from criticism and keep things cordial between ex-employee and ex-employer. It can be enforced through reminder letters from lawyers and, in rare cases, breach of contract lawsuits. Other TV networks and other types of employers also use non-disparagement clauses. But according to a talent agent, who also spoke on condition of anonymity, there are at least two things that make Fox's deals especially restrictive. In at least some cases, the clauses are worded to protect not just Fox, but "senior management," including Ailes. And "the mere acknowledgment that it exists would violate the terms of it," the agent said. So unless the former employees are freed from the legal language, they may be limited in what they can say — to reporters and to lawyers. "It's probably fair to say that you can't get a real, accurate investigation based on the existence of these clauses," said another industry executive who has seen the legal language in Fox's contracts. Some critics of Fox have already expressed doubt about the legitimacy of the review. "This is a law firm that represents giant corporate entities," sexual harassment lawyer and advocate Lisa Bloom said on "CNN Tonight" on July 11. She asserted that the investigation is "almost certainly going to be skewed in favor of Fox News." In addition to any legal reasons, former employees have reputational reasons to avoid commenting. Fox's hardball tactics are legendary in the television business. In the past, Ailes and his public relations staffers have attacked ex-hosts like Paula Zahn and even leaked unflattering information about current hosts and reporters. The P.R. department has changed hands in recent years, but memories of the tactics loom large. "Roger Ailes casts a long shadow," a former Fox producer said. At the same time, Ailes is also admired by past and present staffers for his television production and management acumen. Blunt, politically incorrect talk is part of his appeal among some staffers. Several of them, speaking on condition of anonymity, said Ailes is well known for making inappropriate comments, and they thought Carlson overreacted by suing. A former Fox host remembered Ailes saying to her, "Walk down the hallway slower, I want to get a look at those legs." But she said she did not consider that to be sexual harassment, and she praised Ailes at length. Others, however, said they believed Ailes crossed a line, but said they could not be quoted describing their experiences, even when promised anonymity.